We’re full of new series this week for New Comic Book Day. With a little of everything. DC, Marvel, Dark Horse, and our second Hanna-Barbera series. Remeber these are just a few of this week’s new releases that stood out from the crowd. Check out our other blog articles so see our thoughts on other books. Be sure to comment or share your thoughts on these books here or on Facebook and Twitter! Steve Rogers is back as Captain America! Throw the confetti and start the welcome back party! Since Kubik returned Steve’s super solider serum to him in the Avengers Stand Off Series, Cap jumps right back into action. 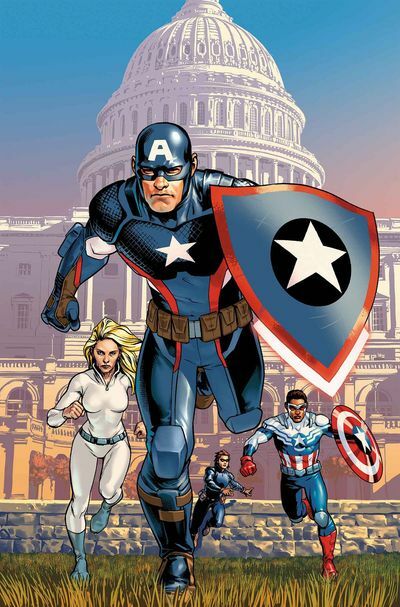 With the agreement that there will be two Captain Americas now, Steve adopts his old 1940’s shield while Sam keeps the original. Jumping straight into this issue, we are confronted with the same song and dance the Captain has been dealing with since day one. Hydra is returning at full strength and they’re not holding back. Well, that’s just fine because Steve has the help of Jack Flag and Free Spirit. Things should be easy for him right? Nope! 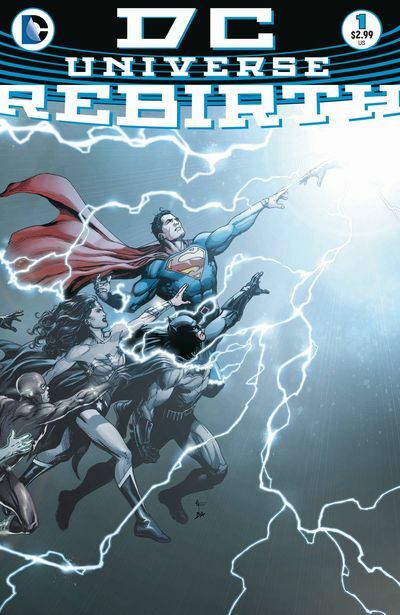 When time in the DC Universe has fractured in the past, it has caused a ripple effect throughout the Multiverse. Speedsters, usually a Flash, are a good focal point of these events as they have experience and understanding of traveling through the Multiverse. When the New 52 launched, it created a ripple effect in the fandom, where some people felt lost and grew to realize that some of their favorite legacy characters and relationships built over the years were simply gone. Undone by Flashpoint. This story follows one such lost legacy character who remembered the Post-Crisis/Pre-Flashpoint DC Universe. In a way that works intuitively and takes the reader on the journey of rediscovery. There is an event on the horizon, which is changing the Universe once again. We are beginning to understand some of what happened due to this. It could be a great jumping on point, and a point to jump back on for those who left, and especially meaningful to those who loved the tone that DC had carried for decades. Today, DC’s second series from their re-launching of Hanna-Barbera hit’s the shelves. 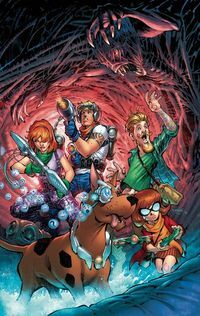 Scooby Apocalypse written and drawn by a large array of talented comic professionals. Including Jim Lee, Keith Griffen, J.M. DeMatteis, Howard Porter, Hi-Fi, and Nick J Nap. Like all great #1’s we get a good set up piece. We all know that Scooby and the gang have been together solving mysteries. In this series however we get HOW they came together not just solve a case, but save the world. All the personalities are still there. From Fred’s overbearing Macho-man attitude (even though he get spooked like no other *Mole people! *); Shaggy’s free love, care for his pal Scooby, and food; Daphne’s ego, and Velma’s smarts. 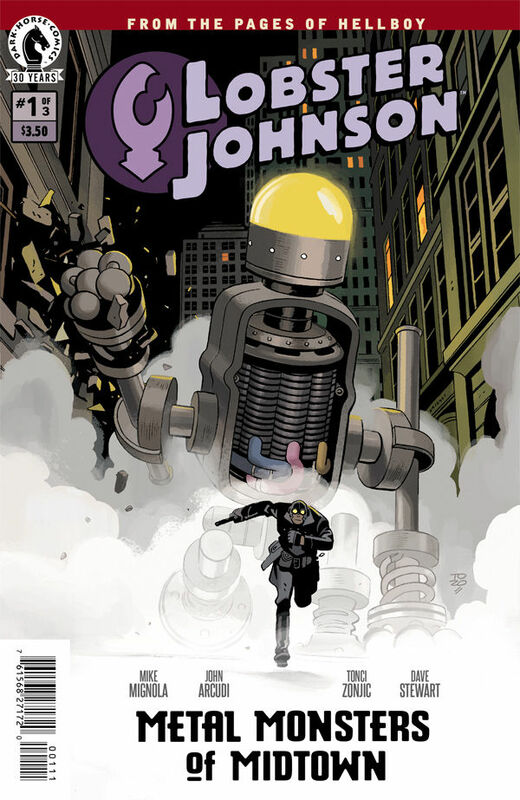 We last left off with our intrepid hero Lobster Johnson working a case to find a missing transient, which led him on an amazing adventure in the sewers. After he investigated a strange priest who was practicing more then religion. Well, he’s back again to save Midtown from a pair of monstrous, and seemingly indestructible metal men. How will he be able to stop this unrelenting menace from destroying the city and leading its trail of chaos past the streets of New York? How will an old friend factor into the plan to put an end to this insanity? You’ll have to read and find out. Lobster Johnson and his team are always good for a thrilling noir Lovecraftian story that makes you feel like it could almost be possible.